Random And Some: "Hurray for standardized valve systems"
Seriously, what's not to like? A badass botanist left behind on Mars left behind on Mars by himself, struggling against to odds to survive on a hostile planet until his crew returns for him. No food, air, water, radio signal or hope of rescue for another four years. Yikes. 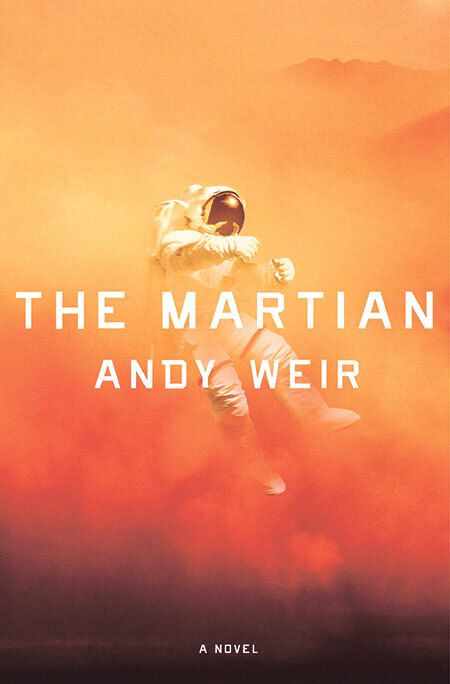 The Martian was originally published one chapter at a time for free on Weir's website, and was later made available for 99 cents at the request of his fans. The book became a phenomenon and was re-released by Crown Publishing in 2014. When the Ares 3 mission to Mars is hit by a dust storm, the crew is forced to evacuate, leaving behind presumed dead astronaut Mark Watney. Stranded and completely alone, and with no way to even signal NASA that he's alive, he has to find a way to make 300 days worth of food and supplies last for 1,400+ Martian days. As if that isn't challenging enough, and despite damaged machinery and a highly unforging environment, Watney isn't ready to give up. With only his engineering skills, ingenuity and refusal to quit to fall back on, he step by step tries to overcome the impossible odds against him. I know that I'm a sucker for Human vs. Nature stores, but what Weir does with The Martian is on another level entirely. His book is pretty much the nerdy love child of Cast Away and Armageddon x a million, so meticulously researched, realistic and funny that you'll never want it to stop. It really shows that Weir spent amost three years working on The Martian. The story is thrilling, perfectly paced and wonderfully fleshed out, with Mark Watney's character the coolest space dweller since Chris Pratt's Peter Quill in Guardians of the Galaxy. Seriously, I want to hang out with this guy. The Martian is great binge-read material from start to finish. Go read this!